Exclusive Roofing provides a full range of roofing services from fixing a cracked tile or repairing a costly roof leak right through to asbestos removal and full roof restoration services.Here is a short summary of our additional roofing services. Roof Ventilators or Whirlybirds as they are commonly are a cheap and effective way to help cool you home during the hot summer period. Whirlybirds are also very effective during the cooler months. Steam from showers and moisture from gaps in your roof are drawn into roof cavity and can condense to form up to 10 litres of moisture per day. This can render insulation ineffective, cause mildew on walls and ceilings and contribute to a damp environment. All this can be greatly reduced by installing Whirlybirds. Many Australian homes and commercial buildings were roofed using asbestos sheeting during the 50's, 60's, 70’s and even into the 80’s. The three most common types of asbestos that were used in a wide range of products are Chrysotile commonly called white asbestos, Crocidolite commonly called blue asbestos and Amosite (brown or grey asbestos). 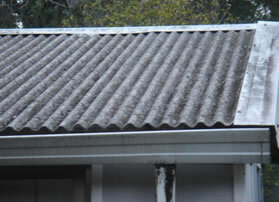 As health risks relating to asbestos fibres have become more apparent, more and more homeowners are having their asbestos roof removed and replaced with either Colorbond or Zincalume roofing. Exclusive Roofing can arrange for the safe and efficient removal of asbestos from your site. Give us a call today to discuss asbestos removal. Unfortunately, all roofing and guttering will deteriorate over time. Rusted or poorly installed gutters are all too common problems for many homeowners. The slope towards the downpipe may be insufficient. Exclusive’s Roofing can install Gutter Guard to reduce the maintenance and cleaning of your gutters and also help protect your home, especially in bush fire prone areas. Cleaning gutters can be a difficult, dirty and dangerous job. It is important to keep your gutters clean in order to avoid your gutters overflowing and causing damage to other parts of your property. A dirty and full gutter will deteriorate much faster than a clean gutter free-flowing gutter. 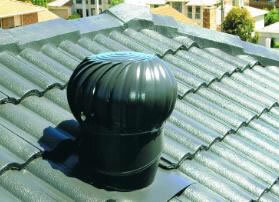 At Exclusive Roofing, we only supply quality roofing products. Exclusive Roofing can advise on which profile and materials are best suited for both cost and functionality purposes. Polished Concrete Floors - For bathrooms, Kitchens and all around the house. Solar Air Ventilation - GES supply a range of energy efficient solar ventilation systems.